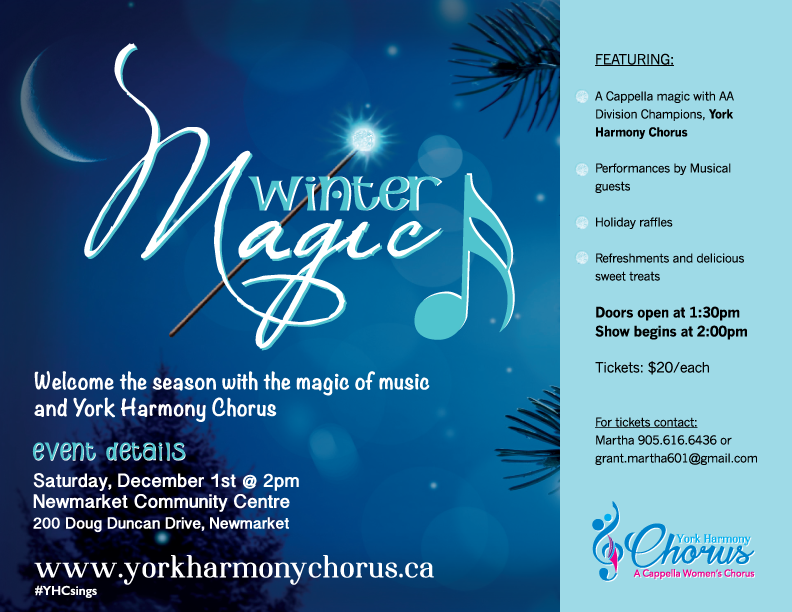 Welcome the holiday season with the magic of music and York Harmony Chorus! Featuring a cappella magic with AA Division Champions, York Harmony Chorus, performances by musical guests, holiday raffles, refreshments, delicious sweet treats and more! Our Christmas show always sells out so reserve your seats now!